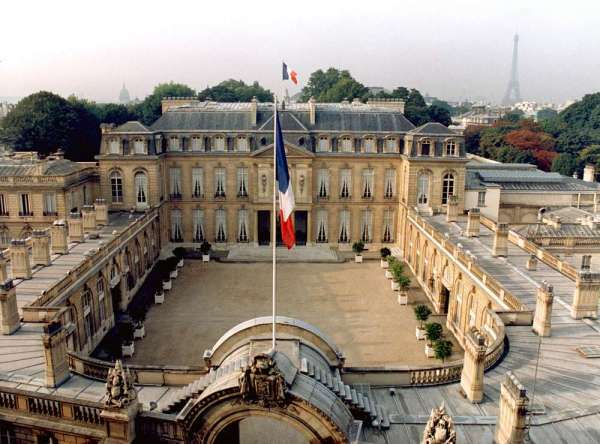 France in London | French Presidential elections of 2012: Who will be in the running? 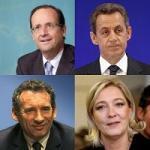 French Presidential elections of 2012: Who will be in the running? Presidential Elections of 2012 : how many runners in the race ? Less than 100 days before the first round of the French presidential elections, there are nearly 40 candidates currently in the running. But who are they? Who are the favourites, who will fall at the first hurdle and how many will be in with a chance coming up to the final sprint for the line? To be or not to be candidate, this is the question? Since 1976, all candidates are required to receive the backing of at least five hundred elected representatives (mayors, local counselors, MP…). These representatives have to sign a document for the person to become an official candidate. This rule is designed to reduce the number of entries. This, however, did not stop as many as 16 hopefuls to be in the running in 2002. In 2012, the filing needs to be completed before 16 March and the official list will then be published on 19th March. - The Candidate must be registered on the electoral list. All these conditions are controlled by the Conseil Constitutionnel and the Commission nationale des comptes de campagne et des financements politiques supervises the spending of the candidates. After a series of political corruption scandals, the law of 11 March 1988 restricts the funding of political parties. This is why, since 1988, private companies can no longer finance political parties. Moreover, the donations are limited to 7500 euros per person per year. As in every election, the favourites are the two candidates from the mainstream right and left wing parties in France: the UMP (Union for a Popular Movement) and the PS (Socialist Party). For the Socialists, François Hollande currently has the bookies in his favour, with polls forecasting him as the winner against Nicolas Sarkozy. The current president has yet to formally declare his candidature but it would be a huge surprise if he decided not to stand in due course. President Mitterrand, for example, decided to stay above the fray and only officially announced his candidature one month before the 1988 elections, on the set of France2. President Chirac tried the same tactic, only announcing he would stand some two months before the first round. Whether or not the incumbent president can afford to stay on the sidelines this time round will be interesting to see. The Socialists have been out of power in France since 1995. This is the challenge that must be faced by François Hollande but with no personal experience of government. His academic career is exemplary: Sciences Po, HEC and ENA. Ex-partner of Ségolène Royal, the elected representative from Correze is seeking to focus his campaign on the themes of French recovery, youth, hope and justice ( and bashing the bankers ). But does he have the personal clout to take on the street-fighting Sarkozy when the going gets tough? Leader of the Socialist Party between 1997 and 2008,Hollande seems up for the fight, but losing a few pounds in a pre-election diet may be the easiest of the challenges he will face. Hollande, however, has not had an easy ride to get this far. Martine Aubry, a rival for the Socialist nomination based her attacks on Hollande being perceived to be ‘wet’ on a number of issues ( ‘la gauche molle’ as opposed to ‘la gauche caviar’ that DSK would have represented ). 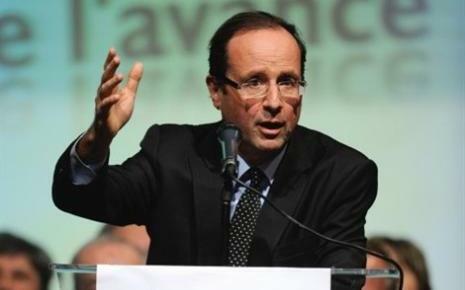 Can Hollande be tougher than he looks ? Given that Hollande has recently announced plans to mimic Sarkozy’s visit to London before the last election, the French community in London will soon have the opportunity to see for themselves. Coming soon, a presidential candidate near you! In the opposing corner, not many doubt the electioneering skills of Nicolas Sarkozy but his low approval ratings make it look as if he has a mountain to climb if he is to be re-elected. His political experience is undoubted, having inhabited the corridors of power in France at all levels. From having been a councillor in Neuilly-sur-Seine, a Minister of the Interior and a regional president of the Hauts-de-Seine, he fought his way up through the system to become president in 2007. 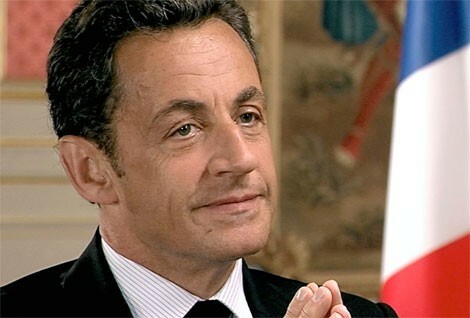 Promising a break with the past, and having campaigned on a "work hard and earn more" slogan, Sarkozy found himself bogged down in economic crisis and with his public image tarnished by flashiness and perceived vulgarity ( ‘President Bling Bling’). In seeking to regain lost ground, the President is now positioning himself as the international statesman who helped save the euro, who brought about regime change in Libya and who is clearly the only man with the stature to secure French interests on the global stage. Will standing up to Angela Merkel, raising VAT and lowering employment taxes be enough to convince the French electorate that ‘Sarko’ deserves another chance? Who are the other main runners ? 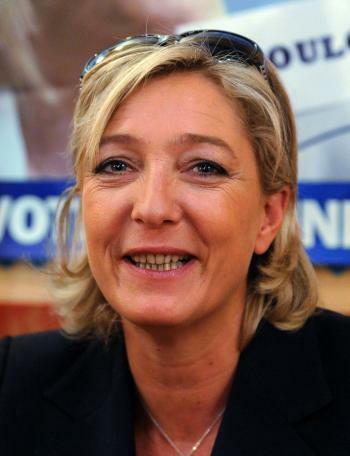 A key influence in the race will clearly be the National Front candidate, Marine Le Pen. Not so obviously the blustering bully and extremist menace that her father was, Marine now presents the warm and friendly face of the ultra right-wing in France. Immigration, unemployment, crime and security are her key themes and current polls are suggesting that she could cause as big an upset this time around as her father did in 2002. Could we see Hollande v Le Pen in the second round of the elections with Sarkozy humiliated? More of a wild card, but potentially also influential, is Francois Bayrou who secured 18.5% of the votes in 2007. 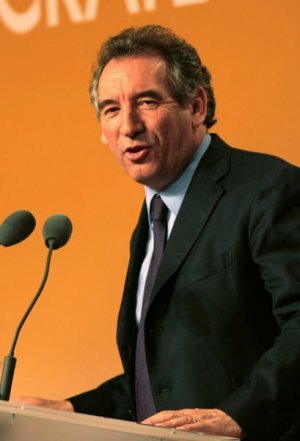 Very much the candidate of the centre, currently trying to raise his profile again after having faded from public view in recent years, Bayrou might just be the best non-left wing candidate that the right-wing parties can turn to to try to stop Hollande if polls continue to suggest that Sarkozy will be beaten. Over and above the main runners there are expected to be a number of minority and special interest party candidates, none of whom have any chance of making it through to the second round but who will hope to gain enough votes to be able to sell their support to a leading candidate in return for promises of commitment to elements of their programmes. On the left is Jean-Luc Mélanchon for ‘ le Front de Gauche’ and Eva Joly for ‘ Europe Ecologie les Verts’. 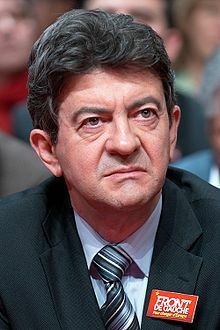 Mélanchon is a traditional left winger, focussed on rescuing the workers from the global capitalist conspiracy. 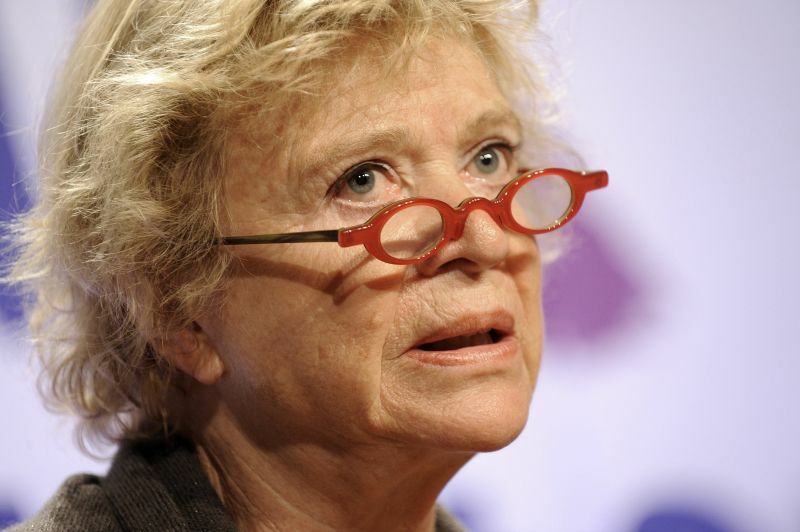 Eva Joly is the spokesperson of the ecology movement in France. A former magistrate , and Franco-Norwegian , she is perhaps more to the left than others under the broader Green umbrella and is already being xenophobically mocked for her accent as much as her views. On the right is the wonderfully smooth Dominique de Villepin, a French technocrat par excellence and former protégé of Jacques Chirac. A bitter personal opponent of Sarkozy, de Villepin now heads up his own ‘Parti République Solidaire’. 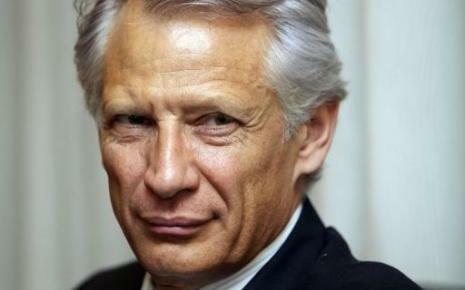 Still struggling to emerge from various mud-slinging episodes in recent years, de Villepin clearly still sees himself as the saviour who the French people will finally turn to in their hour of need. As always, we will see a long-list of ‘no-hopers’, with some candidates even more to the left than Melanchon and even more to the barmy right than Le Pen. On the extreme left we will be hearing from Nathalie Arthaud of ‘Lutte Ouvrière’ and Philippe Poutou of the ‘Nouveau Parti Anticapitaliste’. On the extreme right will be Carl Lang from the ‘Parti de la France’ and somewhere between these candidates a variety of rightist, leftist and centrist oddballs, including Frederic Nihous for ‘Chasse Peche Nature et Tradition’ whose principal policy appears to be to shoot anything that moves and then eat it. The French Presidential election is bound to generate great interest not only in France but also throughout Europe. Whomever France decides to elect, will have a definite impact on the rest of Europe. Savez-vous si des candidats vont venir en meeting à Londres?